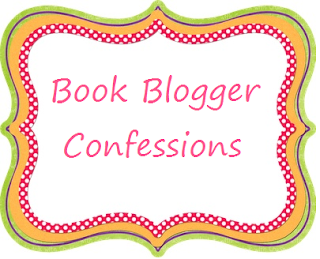 The name says it all, Confessions of a Book Blogger. We all have our vices, and when I come across other confession posts I always am left saying "I thought I was the only one!" This will be a weekly(sporadic) post for me(feel free to do your own!) where I post my confessions, a rant, a what grinds my gears segment... anything! This space is going to be used to get it off my chest! *Please do not lend it to one of your friends without asking me. "Hey X, can I have my copy of Twilight back?" "Oh, I'm sorry, I leant it to my co-worker X, I knew she would love it"
But of course even with all the rules laid out in plain black and white, while the book is out of my home, I am a nervous wreck! Are they treating you well? Are they following the rules? Then you get it back, and sadly they did not follow the rules. "Hey Cathy, can I borrow that awesome book you just reviewed on your blog?" Do you lend your books out? If so, do you have any rules? Lending Out Books Rule #1: Don't Lend Out Books! I am always afraid that they won't give the book back. So after they've had it about 2-3 weeks, I start saying things like, "Oh hey, my mom/brother/boss/tax accountant asked me if they could borrow that book, so whenever you're done, it would be great if I could have it back so I can pass it along." I continue to do this until they either finish it, or are so annoyed they give it back before finishing. LOL. Judith-Exactly! Whenever I was given a book to read, I was always soo careful, I treated the book with how I treat my very own books! Kelly- I did the same thing!!! If after 2 weeks I heard nothing about it, I would start saying things like that, too!! You'd hate me. I do give books back, but I clean my finger nails out on the page corners. Gross, I know. I don't lend out books any longer for all the reasons you mentioned. However, I will give books away and tell the friend to pass it on to someone else when they've finished. I have never understood why people don't treat books as if they are precious especially when they belong to someone else. I also don't borrow books just in case there is an accident. I lent Insurgent to my cousin (a boy) and he brought it up to our cottage and left it down at the dock overnight, in a thunderstorm. I found it the next morning, completely waterlogged and warped. I let him take it home with him to finish reading it, but that was months ago, and I don't think I'll ever be getting it back. No more book lending for me.